The CasAmar is the perfect destination for you that’s looking for a quiet place to spend your holiday or to perform your wedding ceremony. 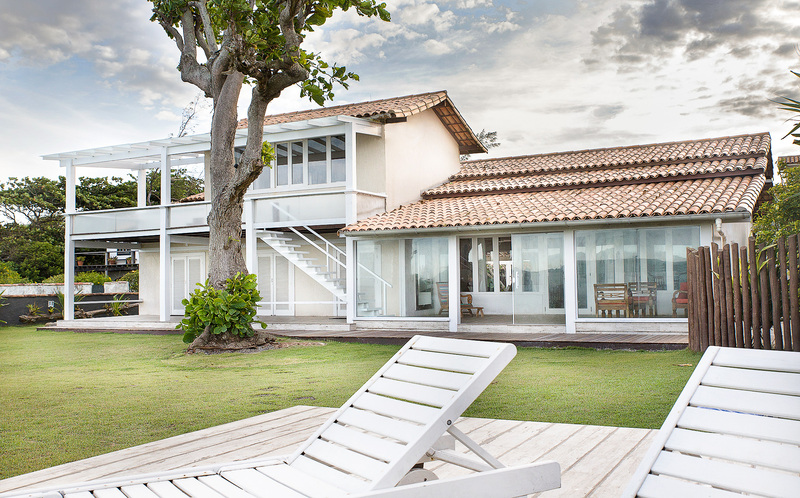 The charm and the elegance typical of Buzios architecture make CasAmar the perfect destination for those who wants to enjoy the beauties of Buzios with tranquillity and comfort. 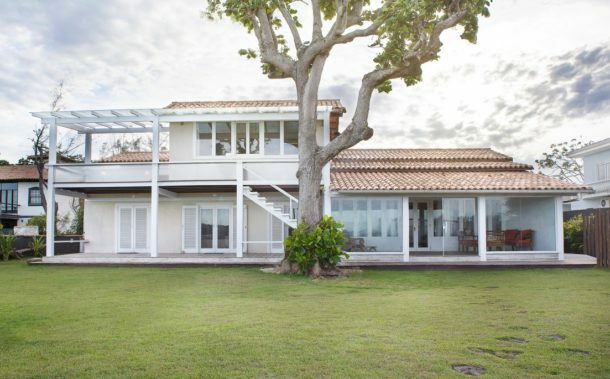 The CasAmar was built in the 70’s when started the movement of Buzios architecture, developed mainly by architects Octávio Raja Gabaglia and Hélio Pellegrino. The style limited the buildings up to two floors, which helped keep the harmonization of houses in the beach environment. The eaves and rooftops were typical of the fishermen houses and still today have been held in many of the houses in Búzios area. 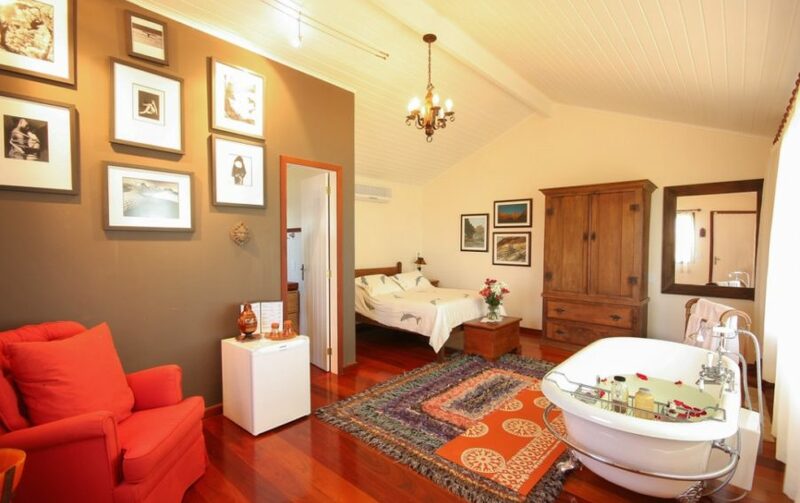 The CasAmar follows the style of Buzios architecture, tall ceilings, large balconies and the use of wood and rustic materials, creating at the same time a warm and refined environment. Despite having passed through several restorations, the charm and simplicity of the structure have been maintained. The restoration has been made in order to bring more functionality and elegance to the place. It was at CasAmar where the homeowners spent the most important moment of their lives: the birth of their twin sons who brought much joy and life to the home. It was in CasAmar where the children gave their first steps and gone through magical moments of their childhood, taking a sea bath, running and playing in the gardens of the house. After a few years, the family moved to the United States, so that the kids join the school in the country of origin of their father. The house was visited only on vacation and was maintained closed for the rest of the year. Thinking about all the good moments that they spent on the property, the owners decided to share the house, opening its doors to receive guests from all over the world, families, and friends to gather, celebrate and pass precious moments of togetherness and love. With all this energy of happiness and love in the warm atmosphere of CasAmar, soon aroused the interest of making wedding ceremonies in the house. The idea was accepted after much insistence of a couple who didn’t want to give up the opportunity to accomplish the celebration in CasAmar. From that moment, the CasAmar became a reference in welcome marital ceremonies and other important moments in the life of the guests. The CasAmar is located next to the Rasa Beach, Blue Bay. Right next also to the island of Rocas, calm waters region with perfect temperature for children. The area is preserved and maintains a native air, it’s possible to see up close the traditional fishing with nets and boats typical of the region. 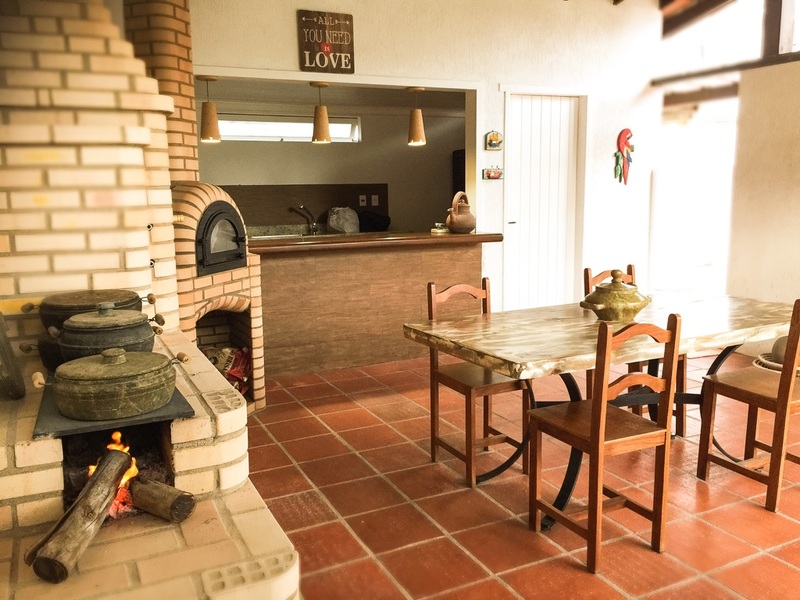 The House is located only 6 miles from the Pedras Street and the Bardot Seashore, some of the main attractions for those who want to see the charm of Búzios. The Rasa neighborhood is 1 mile from CasAmar, where is possible to find markets, pharmacies, bakeries, etc. 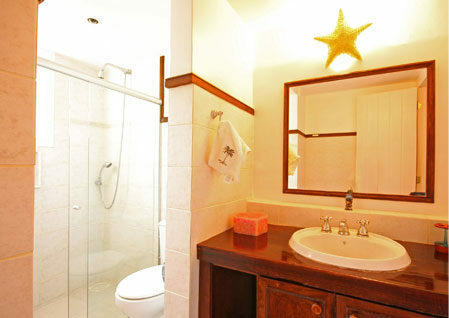 The House has 5 bedrooms (3 suites), a social bathroom and a maid’s bathroom. The highlight is the Bridal Suite that has an independent entry with a privileged ocean view. 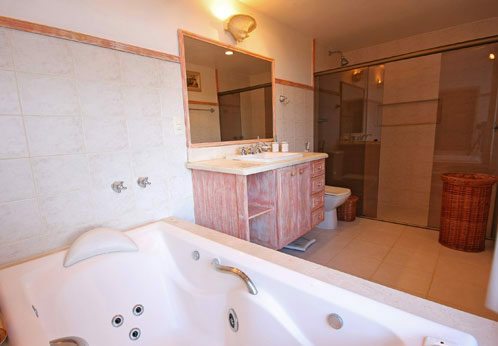 The Bridal Suite has a Victorian-Style tub and a perfect decoration for the couple or the newlyweds stay in a romantic mood. In the other rooms sleeps ten persons. Several adjustments were made to ensure a functional and practical environment in wedding events without the house lost its home characteristic. 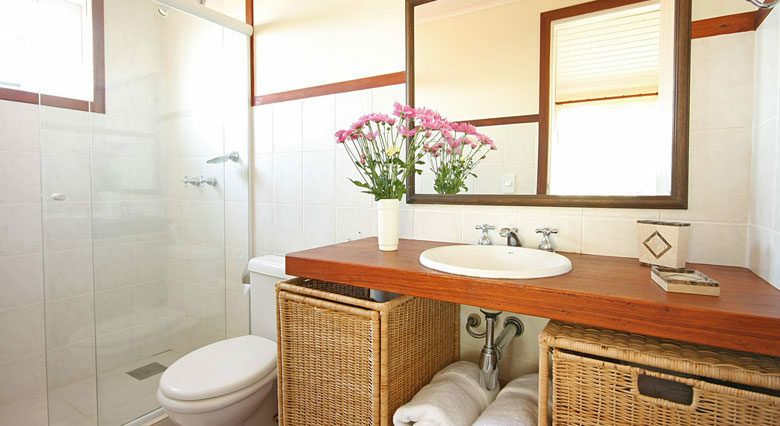 Three toilets (2 female and 1 male) were installed on the outside of the House to ensure the comfort of your guests. The House also has a professional kitchen area designed to facilitate the work of professionals, in addition to a side entrance for the passage of equipment and decoration pieces.